Cufflinks “Vrubel’s Sketches”. Lobortas Classic Jewelry House. 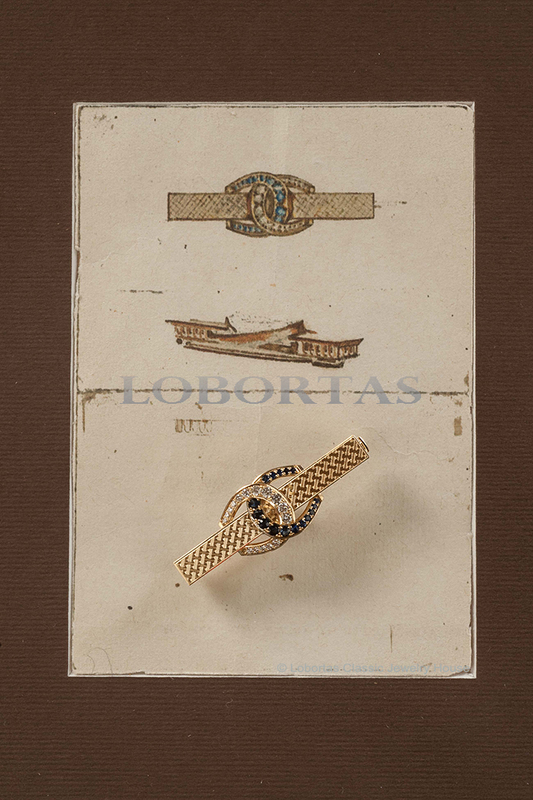 Men’s cufflinks “Vrubel’s Sketches” – sign of the fortune. The image of a pair of interlaced horseshoes is one of the greatest riddles in the world of arts and at the same time is recognized as the sign of fortune that brings good luck. And what is more, the whole Chanel empire’s solid fame owes to the logotype of two intertwisted C’s. One of the most recognizable logos of the world fashion of today has the date of birth – May 5, 1925. It was the moment when the world witnessed the arrival of Chanel N°5, marked with interlaced letters, it is where the design of the Chanel products comes from. But were those just two letters? Mikhail Vrubel happened to be almost 40 years ahead of the Chanel logo emergence, having created his famous brooch sketch, which by a strange coincidence wonderfully looks rather similar to the famous lettering. The sketch of the great artist has been recently discovered among the others in one of Kyiv museums. According to experts, Vrubel drew the sketch of a brooch in 1886, 40 years before the emergence of the “fashionable” logo. 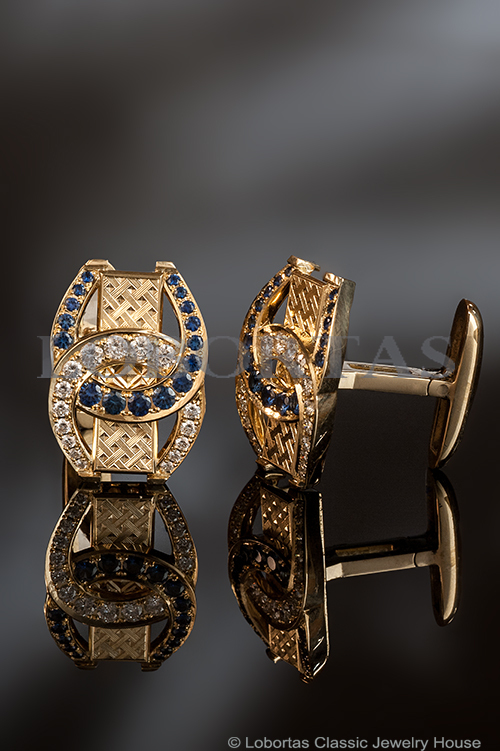 Cufflinks “Vrubel’s Sketches” are the cue of “Two Horseshoes” brooch. After that sensational find of the historians, the artisans of “Lobortas” Jewelry House started making a reality of not only Vrubel’s basic idea, but also saw the oriental sign of “Yin & Yang” in that two-horseshoes combination. However, it was not so easy. Only with the help of volume-modeling jewelers managed to accomplish that interesting task. In 2007 the masterpiece brooch “Double Horseshoe” saw the daylight and in 2014 this surpassing beauty became an adornment of one of the halls of the State Hermitage Museum – Carl Faberge’s Hall. 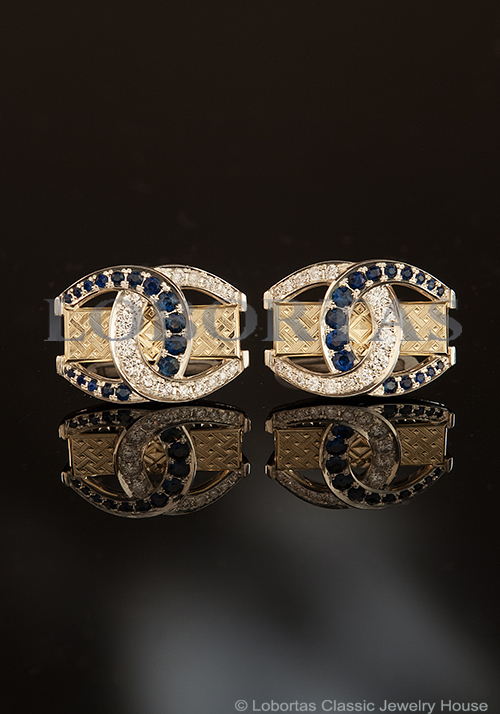 Men’s cufflinks “Vrubel’s Sketches” are already recognizable Vrubel’s forms and colors. 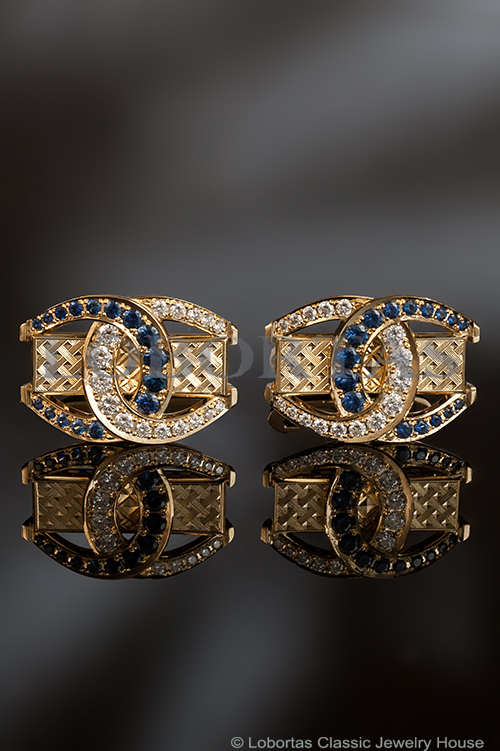 The horseshoe of sapphires and the horseshoe of diamonds make the sign of fortune and a true piece of art!